The +ADD team have been working hard on developing the launch event for thier collaborative innovation programme with Siemens. The UK launch is set to take place on the 22nd of January and has proven to be extremely popular with 6 water companies, 7 universityies and RTO’s and 40 supply companies attending this one day innovation event. The Siemens programme is an exciting venture for +ADD and represents the teams ethos of results driven delivery sharing risk and rewards, working together to realise genuine industry driven change. The open innovation campaign focussed on opportunities to increase automation and intelligence in the utilities space. 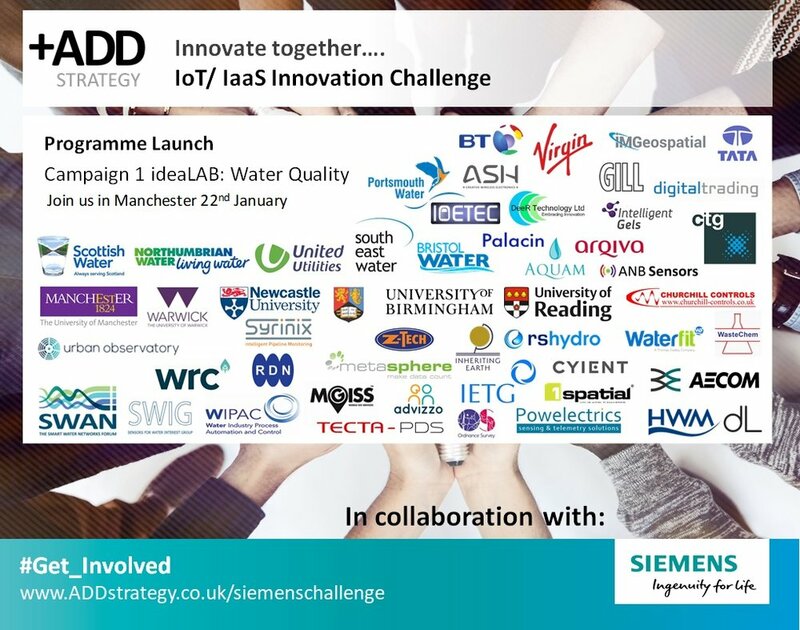 he programme sees ADD Strategy deliver opportunities and sponsorship from Siemens across 7 key themes in the water industry.